I have learned two things in my work in facilities. First, we are confused by the term best practices. Second, many facility managers don’t truly have best practices. They want them, they want to improve, and they might have good practices in place already. What they often lack is an understanding of facilities business missions and performance requirements within the context of their organization’s success criteria. They do not have a way to tell if a practice is best for them. Sometimes, the idea is just new or different, coupled with a hope of making a positive difference in some way. Sometimes, the fact that a new idea is called a best practice is enough to get buy-in from decision makers to do something. But that is not a good way to move forward. Understand what is most important to your organization. Whatever your organization is about, in facilities so you must be. Understand what is most important to those in your facilities, meaning your customers. Know the scope of work under your care. What has to get done? How will you know you are successful for the scope of work under your care? Measure and monitor your performance. How are you doing? By understanding what is most important and what you must achieve, and informed by current performance, you now have a proper context to use in evaluating best practices and really good ideas, as well as sales pitches for the latest tech gadgets. My friend manages a facility that is becoming very energy efficient. He is passionate in his commitment to reducing energy consumption in his facility and is supported by the company’s desire for efficient operations. He implemented a measurement and monitoring program – a true industry best practice — as well as several projects that would help his facility decrease energy use. He installed LED lights, which is a very good initiative. Benchmark building energy use. How does the building compare with other similar buildings? What does that tell us about our potential to improve? Improve efficiency. Look for opportunities to turn off unused equipment. Replace old inefficient equipment with new technology. Use building controls to optimize system runtime. Find and fix leaks. Consider more efficient technologies. Measure and monitor. How is the building performing? Have the changes made a difference? What else can we do? Using the process, he installed LED lights, and he was able to replace old equipment and implement a lighting and temperature control scheme that was more closely aligned with need – more very good initiatives. Most importantly, he was able to communicate performance to the organization’s executives in a way that helped them understand and caused them to be more supportive of his program. The best practice he employed, in the form of a process, enhanced his company’s performance in a way that was meaningful all the way to top leadership. We need to be careful with best practices. The term cannot become a substitute for the hard work of good management. Start from a position of understanding, beginning with the end in mind: In your facility, what must you achieve? The answer to that question will tell you what you need to do to go forward. In thinking about industry best practices, I really would like to change the term to really good practices. It doesn’t have quite the same cache, but I think it’s more clear. Really good practices. That’s growing on me. 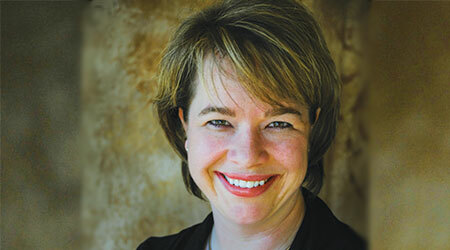 Laurie Gilmer is vice president and chief operating officer with Facility Engineering Associates. Gilmer is a published author and co-authored the International Facility Management Association (IFMA) second manual in the Sustainability How-To-Guide series, EPA’s Energy Star Portfolio Manager. She serves on IFMA’s board of directors, and she serves on the Northwest Energy Efficiency Council’s Building Operator Certification program advisory committee and the National Visiting Committee of Building Efficiency for a Sustainable Tomorrow (BEST) Center. What Are The Best Practices For Improved Operations?